Go to… Go to… Home My Listings Search for Homes - Advanced Search - Lincoln City, $150K- - Lincoln City - Depoe Bay - Roads End - Gleneden Beach - Newport - Otis Homes - Map Search Buyer/Seller Info - Mortgage Rates - Schools - Relocation - Weather About Me - Testimonials Contact Me - Find Your Dream Home - FREE Market Analysis - Latest NAR News!!! SPOTLESS, brand new, never been lived in manufactured home on a huge country lot! This 3 bedroom and 2 full bath home has an open kitchen, living and dining area complete with an island. Great for entertaining! New appliances too! Master bedroom with spacious bath and a good sized walk in closet. 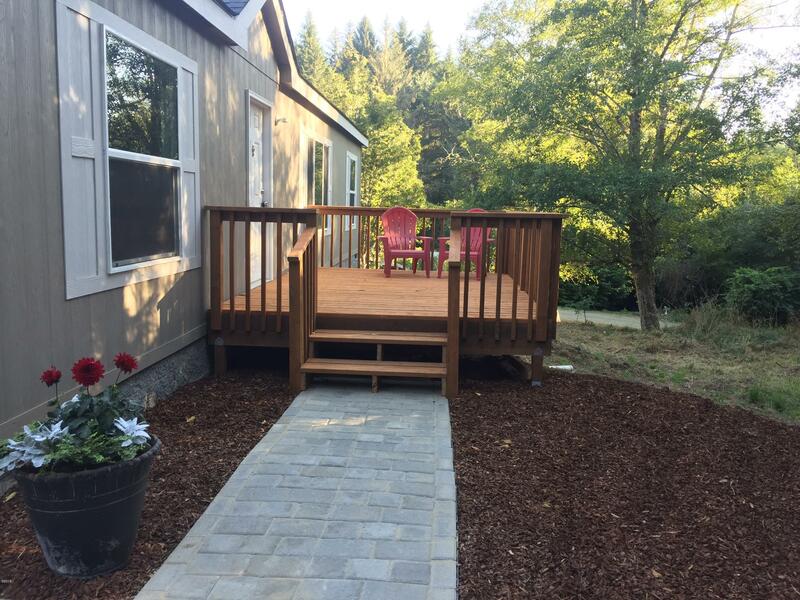 Enjoy outdoor living with the front and back decks! Home is placed on a full concrete slab with block foundation. All tie downs are in place! Gardener's delight - lots of possibilities here! © 2019 Lincoln County MLS. All rights reserved. Information deemed to be reliable but not guaranteed. The data relating to real estate for sale on this website comes from Lincoln County MLS and the Broker Reciprocity Program.sm. Real estate listings held by brokerage firms other than Dominion Real Estate are marked with the BR logo and detailed information about them includes the name of the listing brokers. Listing broker has attempted to offer accurate data, but buyers are advised to confirm all items. Information last updated on 2019-04-23.